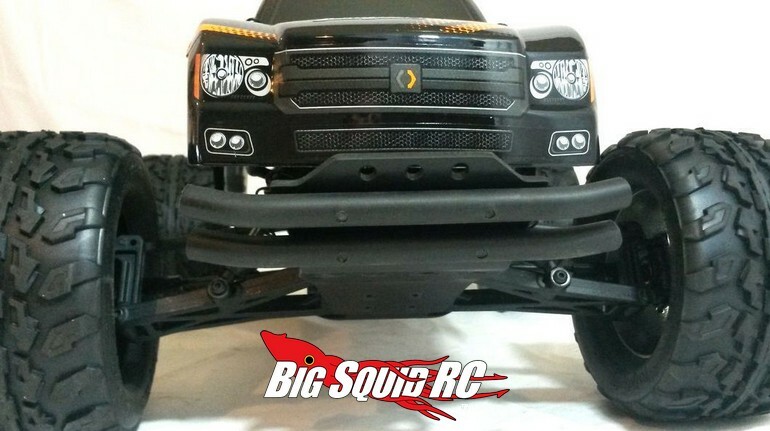 T-Bone Racing XV2F V2 Front Bumper, HPI Jumpshot MT « Big Squid RC – RC Car and Truck News, Reviews, Videos, and More! For all you new HPI Jumpshot MT owners, the folks at T-Bone Racing have already designed a heavy duty Front Bumper for your truck. The new bumper is one of their V2 units which is designed for more of a scale look, while retaining the ability to take a massive hit without breaking. The V2 front bumper for the Jumpshot MT also has 3 holes that are pre-drilled for mounting up LED lights. The bumper is street priced at $20, it has a part number of #26037, and they are available right now. For complete details check out This Link over on TBR’s official website. Click Here to read more TBR news on BigSquidRC.